Crafting with Amy: Thank you so much! 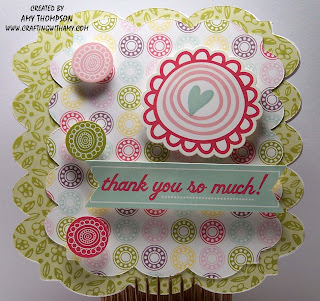 Here is a thank you card that I made using some Echo Park paper and matching element stickers. I used my gypsy to weld the base of the card together using Just Because Cards. The base of the card was cut at 4x4, the next layer at 3.25, and then I used some pop dots to give the stickers dimension. Thanks for stopping by. 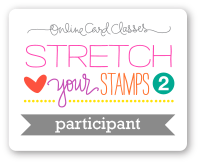 Please Check out the Crafter's Companion Challenge Blog weekly stamp giveaway & monthly challenge. This is a pretty card Amy!! Very happy!! Cute card! 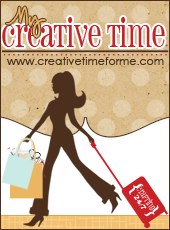 Thanks for joining the fun at My Craft Spot!